In 1991, the U.S. led a coalition of over 30 nations to force Iraqi troops out of Kuwait after Saddam Hussein ordered the invasion and annexation of the small oil-rich country. Although the invasion caught many throughout the world by surprise, those who had worked in the Middle East had been seeing tensions rise for some time. In the aftermath of the Iran-Iraq war, Iraq was devastated economically and owed its Gulf Arab neighbors a tremendous amount of debt, which they refused to waive or lower. Iraq also had complaints about its lack of access to the sea and demanded that Kuwait cede two islands in the nether part of the Tigris Basin. 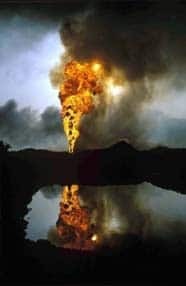 Coinciding with the end of the war, the very same Gulf neighbors to whom Iraq owed money began to substantially increase their oil output, thereby driving down the price of Iraq’s main foreign-currency earner at a time when it needed every petro-dollar. 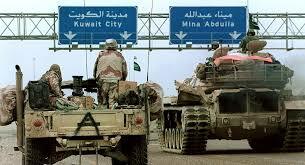 Baghdad even accused Kuwait of stealing oil from an Iraqi oilfield near the border by slant drilling. During this time, the U.S. worked to mediate and maintain peace in the region. Diplomats from Iraq and Kuwait were often in touch with the State Department hoping for a solution to the growing friction between the two countries, but none was found. In fact, mixed signals sent by the Administration in Washington to Iraq and a lack of communication with the American embassy in Baghdad gave Saddam the impression that he could use his military might without repercussions from the U.S. Such events, coupled with Saddam’s paranoid nature and fragile temper, led to the invasion and annexation of his southern neighbor on August 2, 1990. Ambassador Edward W. (Skip) Gnehm had a front row seat to the conflict, and indeed played an active role in American Middle East policy over several decades. Gnehm was the prospective ambassador to Kuwait, but did not go as scheduled due to the Iraqi occupation. In his interview with Charles Stuart Kennedy in May 2014, he spoke about two meetings that took place on July 25, 1991 that illustrate these mixed signals: his own Senate confirmation hearing and the consultation of Ambassador to Baghdad April Glaspie with Saddam Hussein. 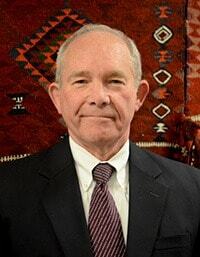 Please follow the links to learn more about the Gulf War, Iraq and to read another account of the role Ambassador Glaspie played in Saddam’s decision to invade. We’ll take the bigger one first. Saddam asked to see April. April had not had the experience of being asked to a meeting by the President. She says this in her comments. Saddam just didn’t do that. So it was unusual. She had some instructions but they were a bit dated at this point. People, such as reporters here in the United States, members of Congress, and some leaders in the region, interpreted those words as somehow giving a green light to Saddam to move militarily. April testified in March 1991 after the liberation of Kuwait that she told Saddam Hussein that the U.S. did not consider border disputes its business, but that she made it very clear in fact that (and these are her words) “it was emphatically our business that they reach a settlement in a non-violent way.” In other words, they reach an agreement in diplomatic terms. I believe April in her description of this conversation. It was very deliberate that the Iraqis issued their own mem-con (memorandum of conversation) the way they did, for deliberate reasons. They wanted to sow the idea that somehow we were giving them the green light. They knew it would create dissention in Washington and that it would undermine our credibility with our allies in the region. That’s my view, and it has been all along. The second thing that I wanted to mention was my confirmation hearing. It was both remarkable and humorous in retrospect but it wasn’t funny at the time. As you know, every presidential nominee for an ambassadorial assignment has to be confirmed by the United States Senate. That process begins with the appropriate geographic subcommittee of the Senate Foreign Relations Committee. The subcommittee holds a hearing in which they interview the candidate to determine whether they agree or disagree with the nomination. On the assumption that they agree, its recommendation goes to the full committee at a business meeting. If the full committee agrees, the nomination goes to the full Senate for their final action. This particular day my hearing was scheduled for late in the afternoon, around 4:00 or 5:00. In any case, I think by the time the hearing began it was closer to five than four. 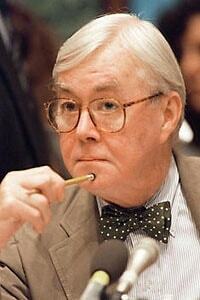 The chairman of the Middle East Subcommittee was Senator [Daniel Patrick] Moynihan of New York (seen left.) To be very honest, it was quite well known in Washington that Senator Moynihan loved his “tea,” meaning his cocktails, and that by late afternoon that was apparent. So this is true on the day of my hearing. The Senator comes in through the door behind the raised seats that are above the table where the candidate sits. 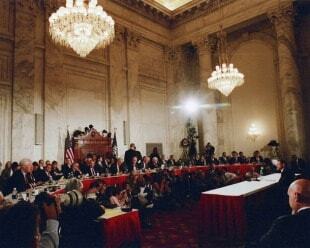 I was the only nominee that day and Moynihan was the only senator who showed up. He came down, greeted me warmly, and greeted my family as well. And, as one would suspect, in a very normal way I could smell his breath but that was not my business, I thought at that moment. The Senator took his place as Chairman in the center seat above me. He gaveled the hearing open and made very flattering remarks about me and the need to have someone like me in Kuwait. He asked me not read my statement but enter it in the record, which is a fairly routine request. In the course of his saying nice things about me, he stops looking at me and the crowd in the room and seems to focus over our heads on the clock on the wall at the far end of the room. I’m thinking to myself; my mind is in a whirl. These are all like split instant moments. I mean my telling you takes longer than my thought process at that moment. Look who is in the room — the Iraqi news agency, members of the Iraqi embassy, Kuwait news agency, and Kuwaiti embassy people. If I just sit here and say nothing the Kuwaitis are going to wonder, “Why didn’t you defend us?” And the Iraqis are all out there writing their reports about the Senator saying to divide up Kuwait. Again my mind is spinning. If I do say something and I offend the Senator, he could well decide against my confirmation. If I don’t say anything, I have no credibility with the Kuwaitis — not even thinking what Saddam might now decide to do! Several days after the Iraqi invasion, The Washington Post actually ran an inside page, story, “Who gave the green light?” They recalled Senator Moynihan’s remarks made on the 25th of July, during which he talked about dividing Kuwait between Iraq and Saudi Arabia. I only mention this episode because it was a rather trying moment. I wanted to add one final note about the meeting between April and Saddam. Saddam excuses himself at one point during the meeting to take a phone call. When he returns, he tells April that it was President Mubarak calling and that he assured Mubarak that everything is going to be OK, it will develop fine, not to worry. He said, “You don’t need to worry about it,” or something to that effect. Now, there’s an OPEC meeting in Geneva from the 26th to the 27th of July. The Kuwaitis do agree to support an increase in the price of oil from 18 to 21 dollars a barrel and to cut their own production by 25 percent. Saddam puts more troops on the border, and by the end of July there are 100,000 troops on the border. On the 29th of July, Iraqi Air Defense systems are put on a wartime footing. The CIA changes its analysis around the 25th of July, on the day of April’s meeting and my hearings, to say assess that Saddam is not bluffing. The CIA now assessed that Saddam intends to make a military move. They don’t know whether that means just a border occupation of the northern oilfields or something more. 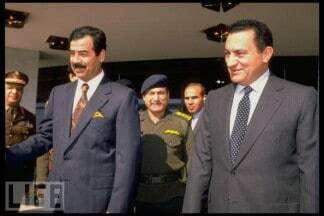 There was still a view that Saddam was trying to intimidate Kuwait to get further concessions — perhaps on the debt issue. 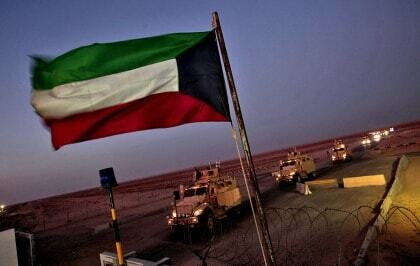 I don’t think there was any intimation of a full occupation of the entire state of Kuwait. But again, no one – and I wrote this down in my notes at the time — no one in a position of responsibility to my knowledge seems to have considered the possibility that Saddam was going to overrun all of Kuwait. There wasn’t even a consensus that Saddam intended to invade at all. Even though the CIA had changed their assessment, there were others who still said an invasion was ridiculous.